I came upon this book as a young girl while stalking the shelves of my local library, which was housed in a cramped portable building. The librarians kindly labeled spines of horse books with a cloth decal bearing a horse head, an extremely thoughtful social service. 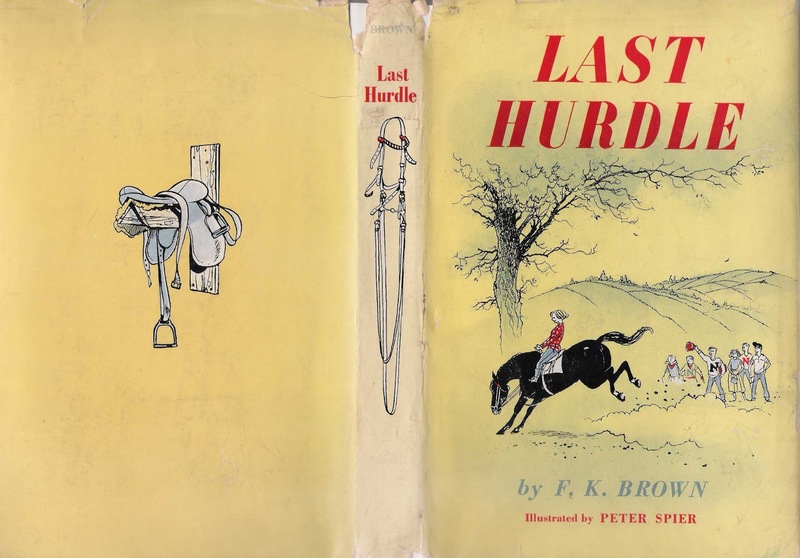 Last Hurdle tells the story of 12-year-old Kathy Nelson, who (like me) lacked horse experience yet dreamed of owning a beautiful horse who’d be devoted to her. But Kathy (unlike me) actually buys a broken-down horse and brings him home to her family’s small farm. With hard work, good advice, and little cash, Kathy manages to bring the old horse back to life. I took out this book again and again because I loved reading a horse book that was about a girl (most horse books available to me in the early 1970s were about boys living Out West and having adventures). 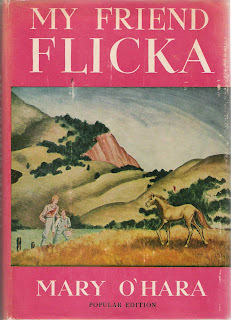 It's also set in a familiar world; the horse, Baldy, is also like most horses I knew, fairly placid and mostly interested in oats and not Pining for the Wild Prairie. If I could glue together all of the Jill books and make an omnibus edition, you’d bet I’d do it. Barring that, I’d settle for taking along the first book in the series. I know I’d enjoy reliving Jill’s thrill at getting a horse, her embarrassment when the riding school students catch her pottering about awkwardly on him, and her satisfaction with her growing competence. This book also brings back the memory of getting a stack of Jill paperbacks when a relative returned to the U.S. from a trip to Ireland—I just sat down and read them over the course of a lovely long summer week. Jill was also unlike any other girl I’d met in books, let alone horse books: she was smart, funny, awkward, and real, and made observations about annoying everyday things that other authors never bothered with. 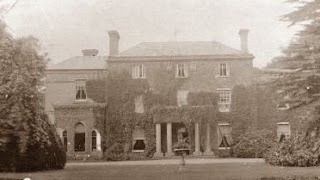 I still crack up when I read about her getting a Christmas card with a bulldog dressed up in a blouse and bell-bottomed trousers, and the “wretched cornflakes” she had to fetch for horrible cousin Cecilia. 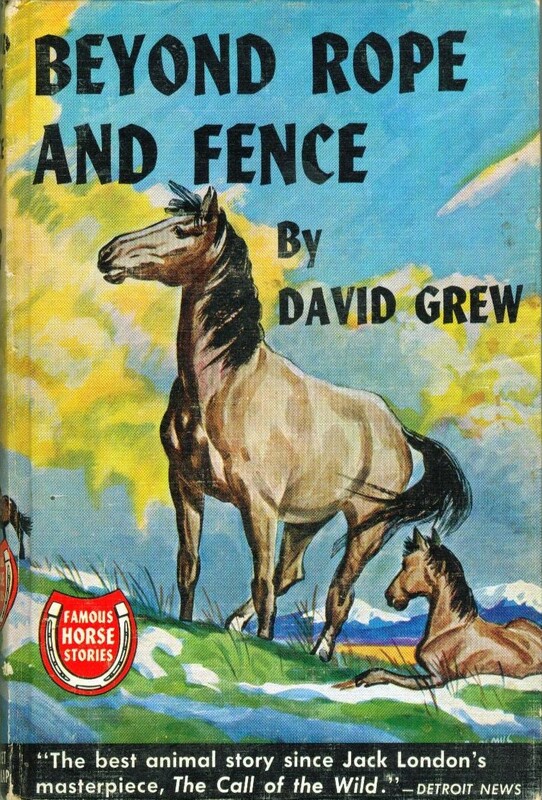 A buckskin mare named Queen is the star of this book, which arrived in the mail as part of my subscription to the World Famous Horse Story Library. Queen’s story is like a wild-horse version of Black Beauty and like that book is told from the horse’s point of view (in third-person rather than first). Queen grows up on the Canadian prairie against a backdrop of constant flight from people; even when she makes a great escape, she is still shackled by humans because she runs off with a bridle firmly strapped to her head. Queen has multiple run-ins with cowboys, suffers the loss of foals and companions, and endures a span of miserable treatment before winning her freedom at last. What a wonderful book this is, with its beautiful writing and deep, complex characters. It would be simply fine as simply a boy-meets-horse story, but it offers so much more, especially if you read it at different stages in your life. As a kid, I was both sympathetic to dreamy, gentle Ken and annoyed with him. As an adult, I still am—much like his patient mother and hot-tempered but loyal father. These parents were among the first portrayed in a book that gave me a glimpse into relationships between adult human beings. O’Hara also does a great job at getting into the minds of the horses and other animals when she writes from their point of view. 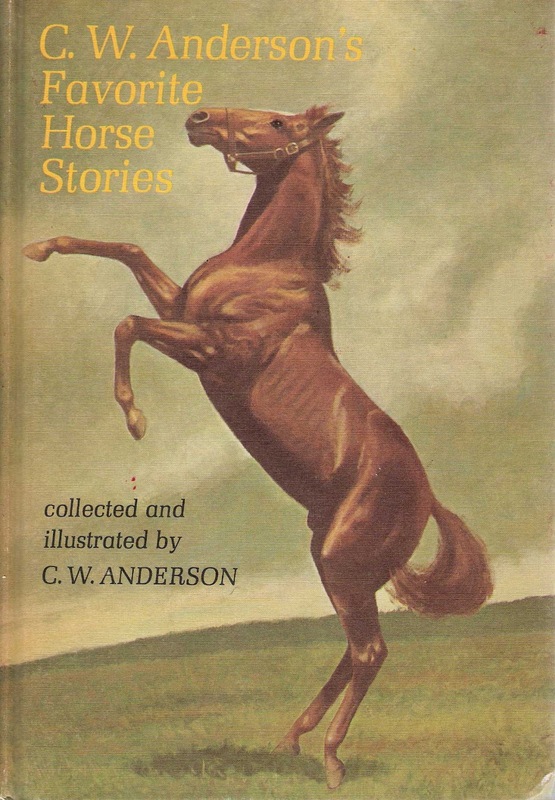 OK, so maybe I’m cheating bringing this, but not really, because it’s an actual for-real book and the World Famous Horse Story Library only charged two bucks for it, just as they did for all really-truly books. It’s 191 pages of horse stories and poems, including excerpts from National Velvet and the works of Will James, with C.W. Anderson’s gorgeous horses galloping through it. 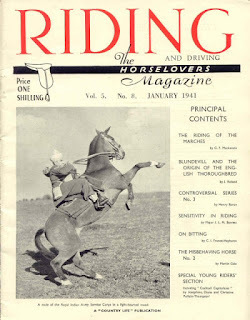 I met famous horses like The Tetrarch, Man O’War, and Stymie in its pages. Oh, if only I could remember the name of the horse book that I’d trample, burn, kick, and throw in the ocean (not necessarily in that order). I’ve googled galore without success. It was a paperback book from the library, published in the 1950s or early 1960s (I read it in the early ‘70s). It had a horse decal on the spine, so I figured it must be good, right? It seemed OK for many, many pages. It was about a dreamy girl who has her head in the clouds in school, longing for a horse of her own and barely paying attention at a school assembly. Somehow, that summer, she gets to spend time on a ranch. She returns home as a good rider and then nabs an opportunity to care for a horse at a local stable. Ungrateful wretch that she is, she becomes bored riding this horse, feeling that it is pointless after the useful work she did on the ranch on horseback. Horse girls are always being lectured about their interest (in a way that boys seldom seem to be when they’re interested in sports, cars, or the like), and so it was with shock and dismay that the final pages of this book revealed how this girl, having shed her silly horse fixation, is suddenly mature, alert, confident, outgoint, and interested at school. At the first school assembly, she stands up and volunteers to run for office. She becomes president of the Student Council! Friends flock to her! Her life has turned completely around! I remember feeling as if I’d been hoodwinked. Only my respect for library books prevented me from throwing it out the window. Thank you, Susan! Wow, didn't realize Paul Brown illustrated it. No doubt the beautiful cover drew me in when I pulled it off the shelf! Thanks so much Susan - great to have that mystery solved! Happy to hear Beyond Rope and Fence is so good, since I just found a copy at the thrift shop. And glad to be warned about about Ride ‘em Peggy; my name is Peggy, and I would have hunted down a copy and been terribly upset by that ending. I have to admit I want to find a copy of Ride 'em Peggy just to revel in the awfulness.